Our Approach- stated by PGT in 1873: "Equal Rights! One Country! One Flag! One People!" 1. 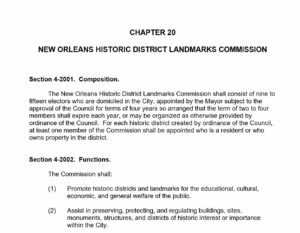 We advocate for the City Council of New Orleans to follow Section 84 of its Charter on Historical Preservation to Educate, Promote, Preserve, and Utilize for the Economic Welfare of the City of New Orleans. This means a ballot petition to amend and strengthen Section 84 with penalties for damaging or removing monuments to US Military Veterans. 2. We are concerned that the current process in place by the City Council and Mayor's Office violates both Section 84 and the Due Process of City Council meetings. These actions are open to abuse with Millions of dollars of Art possibly ending up being sold for pennies on the dollar. 3. Since June 2015, there has been no plan to replace the monuments or explain their final resting place has been presented. 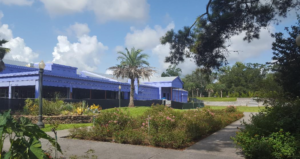 In December 2018, a 20,000 square foot Steamboat Museum will open in Darrow, LA. The Museum is funded by a $5 Million Federal Scenic Highways Grant and should be considered as an appropriate place to display the art. This begins with having the Mayor and City Council of New Orleans realize the mistake of removing monuments that provide education on how these men worked to transform a society from slavery to empowered freemen. Memorials to Progressive Leaders, Tens of Thousands of Soldiers Killed In Action, and Missing In Action which were Removed by the Mayor and Council in Round One. Post War Robert E. Lee served as President of Washington & Lee University. In 1856 Lee wrote to his wife: "Slavery is a Moral and Political Evil." Lee spent time at Jackson Barracks during the Mexican-American War. Over 12,000 men from Louisiana fought under Lee as "Lee's Fighting Tigers," but less than 400 returned to Louisiana. From 1837-1841 Robert E. Lee was known as " The Man who tamed the Mississippi." As a young Lt. for the U S Army Engineers, he was sent to St. Louis was the river was moving away and towards the Illinois side. 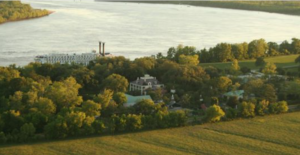 Lee was put in charge of the Upper Mississippi River Valley and for a time the entire Mississippi River Valley. After being Superintendent of West Point, Lee was stationed in Texas when in 1861 secession began. After General Twiggs converted the Army Troops to the Confederacy, Lee was allowed to quickly leave before becoming a prisoner of war. His return path to Virginia, took him through New Orleans, where he likely was the first Union Officer to enter New Orlerans during secession. Lee was highly praised as the result of the U S success in the Mexican-American War. Lee designed and supervised the March 9, 1847 landing of 12,000 men and 80 ships at Veracruz. Lee then designed the 280 mile march to Mexico City and "The Halls of Montezuma" accompanied by the U S Marines. General Eisenhower studied Lee's Landing for the D-Day Landing of WWII. Lee's Monument is located near the World War II Museum; he influenced Generals Eisenhower and Patton. From deep conviction, I simply say this: a nation of men of Lee’s calibre would be unconquerable in spirit and soul. ... . "
Mexican-American War Hero and US Senator, Davis and his brother Joseph are known for implementing Robert Owens Utopian Socialism in the 1840s on their plantations. Jefferson Davis, was a hero in the Mexican-American War. He served as a US Senator from Mississippi and Secretary of War. He spoke against Succession, but believed it to be Constitutionally legally as the Tariffs from 1816-1860 were unequal and harsh to the South. After being chosen to lead the Confederacy, he sent a delegation to Washington to seek a peaceful solution before the War started. They were denied. In the 1840s, Davis began educating, training, and creating means for outside income to slaves. He fought for rights for US slaves to own patents. After Benjamin Montgomery invented a low water steamboat propeller, Davis petitioned the US Patent for Montgomery and was denied. Eventually he sold his plantation to his former slaves and financed the sale. Montgomery became the first black elected to public office in Mississippi. Isiah, his son, became the first black mayor in Mississippi. As Secretary of War in 1854, Davis successfully doubled the size of the U S Army and won approval to buy the Gadsden Purchase and build a Transcontinental Railroad from Los Angeles to New Orleans. Davis was the most active in Congress as an early Regent in the creation and direction of the Smithsonian Museum. During the Civil War, Davis adopted an abused black child named Jim Limber. In 1861, Jefferson Davis called for a "Day of Thanksgiving" for church going to give thanks for the battle victories of the South. The following year, Abraham Lincoln copied this idea and joined the Southern started tradition. Thanksgiving has been celebrated consecutively in the United States ever since. Fought on September 14, 1874 over Voting Suppression, Gun Confiscation, and increased property taxes. The 1872 election in Louisiana was so contested that the US Congress refused to count the electoral votes. Eventually a Republican was seated as Governor and the Democrats began protesting. As the 1874 election neared, Voter Suppression was again in place. Property Taxes had been increased to levels causing bankruptcy. On September 12, 1874, the regional police, led by a former Confederate Solider were told to confiscate a shipment of guns on the SS Mississippi intended for the Leeds Foundry, owned by the Democratic Candidate for Mayor, Charles Leeds. The Democratic Party requested the Businesses of New Orleans to close and a protest on September 14th. At one point, gunfire started with dozens injured and several killed on both sides. The Battle of Liberty Monument was erected in 1891, shortly after the Italian Government threaten War against the US. Mayor Shakspeare of New Orleans had violated the rights of 250 Italians and allowed the murder and hanging of 11 acquitted Italians on March 13, 1891. After President Harrison advised him to pay $2,500.00 to each family, war was avoided. During the Summer of 1891, funding was raised to erect the monument. 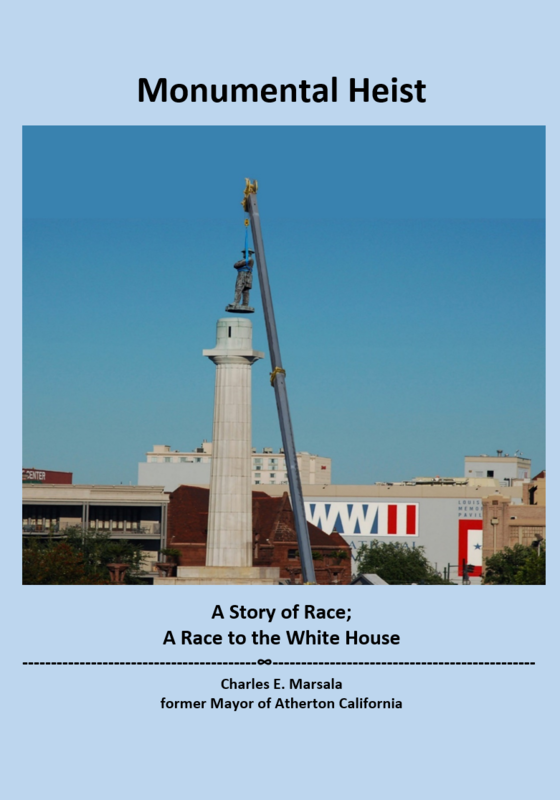 In June 2015, former New Orleans Mayor Mitch Landrieu introduced that he wanted to remove this monument as it was dedicated to the Democrats overthrowing a bi-racial Republican State Government an attacking a bi-racial police force. On that day, September 14, 1874 only whites were killed: eleven officers and approximately twenty citizens. All names were on the memorial. During the three-day coup, in which the Democrats held state power, they left in place the State Treasurer, a Republican African-American named Antoine Dubuclet. This was an issue of white Democrats versus a white Governor. It has been turned into a racial issue for political gain. Download our App to learn more and enjoy a Walk Through New Orleans.